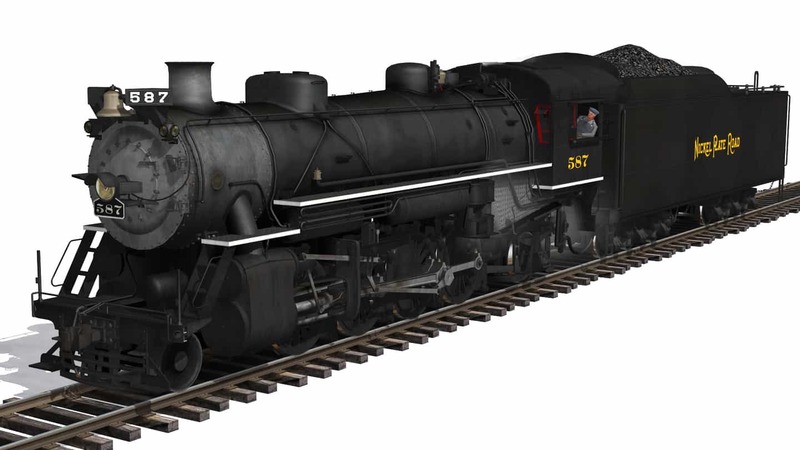 K&L Trainz welcomes the A&A 2-8-0 #18 to the roster! K&L Trainz welcomes the Middletown & Hummelstown E-10-a #91 and a set of DL&W MU Trailer cars! WM I1 Russian Decapods Released! 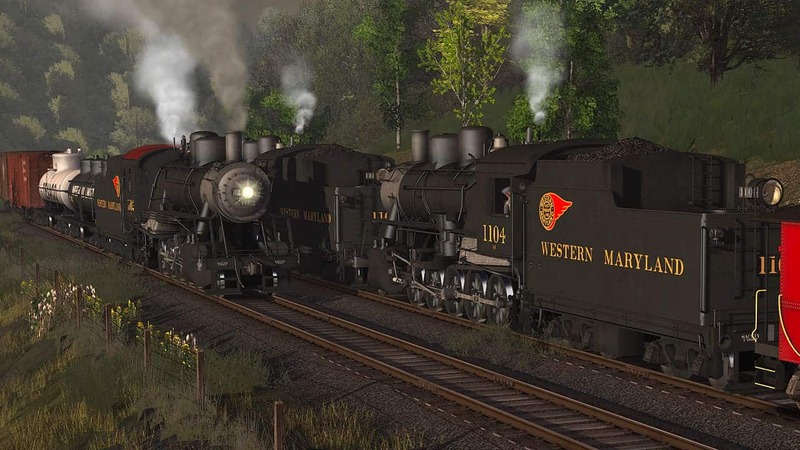 K&L Trainz welcomes the second WM locomotive to the roster: the I-1 2-10-0 Russian Decapod! K&L Trainz welcomes the first official WM locomotive to the roster: the J-1 4-8-4 Potomac! NYC 20th Century Limited Released! “The Most Famous Train in the World” is available now! 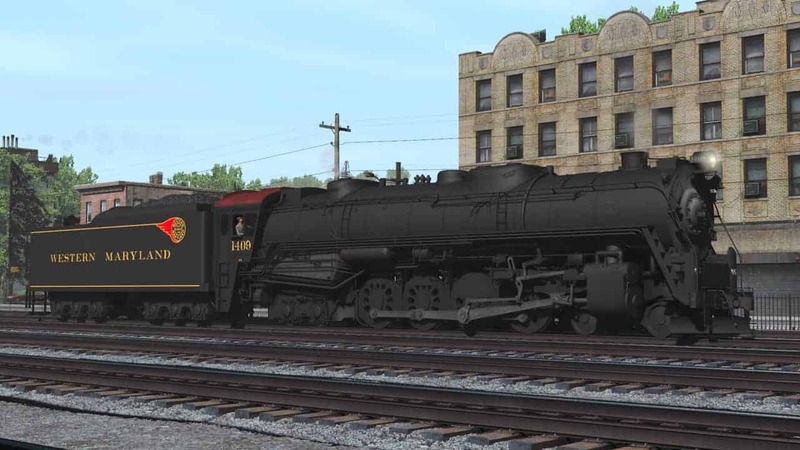 After 5 years, K&L welcomes another B&O steamer to the roster: the Q-3 2-8-2 Mikado! K&L welcomes the final mainstay locomotive of the Strasburg Railroad: N&W #475! Eagle River Railway Consolidation #50 Released! In a partnership with Jointed Rail, K&L Trainz is proud to present the Eagle River Railway Consolidation #50! The locomotive and rolling stock is an add-on to Jointed Rail’s Eagle River Railway route. Help save the NKP 587! As many have heard recently, a court ruling has stated that the NKP 587 needs to be vacated from the Indiana Transportation museum by July 12th, or who knows what will happen with her. Jason Sobcynski and the guys at the Kentucky Steam Heritage Corp. are attempting to relocate NKP 587 and her tender, as well as purchase her aux tender and tool car from the museum, and then relocate them all to Kentucky for future restoration. Until July 12th, for every sale of NKP 587, 100% of the proceeds will be donated towards to attempted rescue and relocation of NKP 587! Her price has been reduced in accordance with this promotion. If you already bought 587, and want to help out, buy it again! You’re purchase will be donated to help save her! K&L welcomes yet another Strasburg locomotive to the roster: #90! K&L welcomes the 1935 Milwaukee Road Hiawatha Trainset to the roster! Coal Country Steam Session Now Available! An add-on session for Jointed Rail’s “Coal Country” Route which utilizes K&L’s PRR I1sa is now available.